I think I drank from the Pacific Ocean! 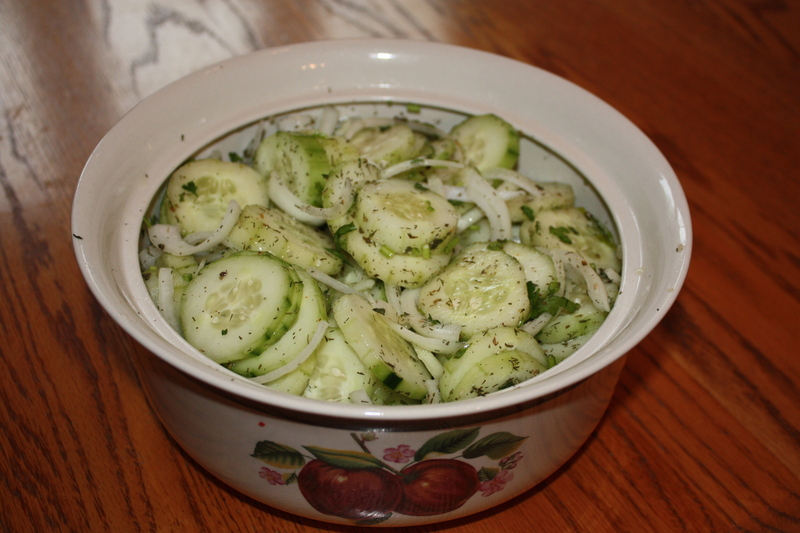 So I made Cucumber Pickles pg. 221 and were they ever salty! They called for 1/2 c. of salt. They have so many errors in this book that I thought it was a misprint and emailed Hallelujah Acres to find out. They said this was the correct amount. Still not trusting them entirely, I did 1/4 c. of salt instead. Still too much! I think this recipe definitely could be delicious. Just not with that much salt! This recipe called for using All Purpose Seasoning pg. 313 which I made and think I like. Not sure though, since the dish I put it in only tasted like salt. Two-Potato Casserole pg.256 Good. Needed some salt though. Should have taken some from my Cucumber Pickles! 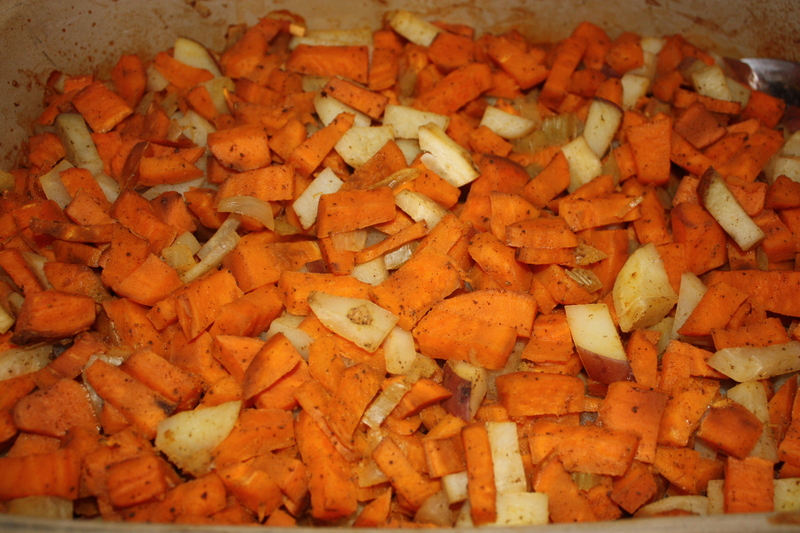 I liked having regular potatoes and sweet potatoes mixed together. Good idea! 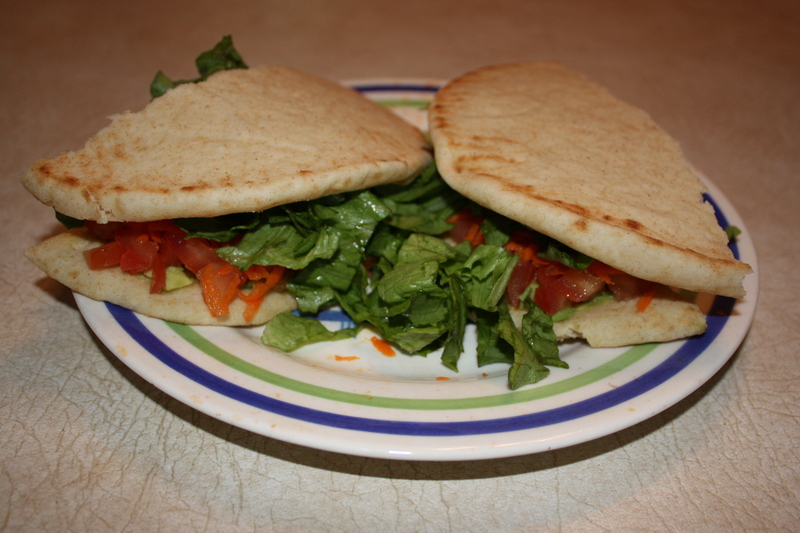 Tomato and Avocado Pita Pocket pg. 278 Good! Would taste really delicious with ranch dressing. I accidentally bought flat bread instead of pita pockets so that’s why it looks funny. 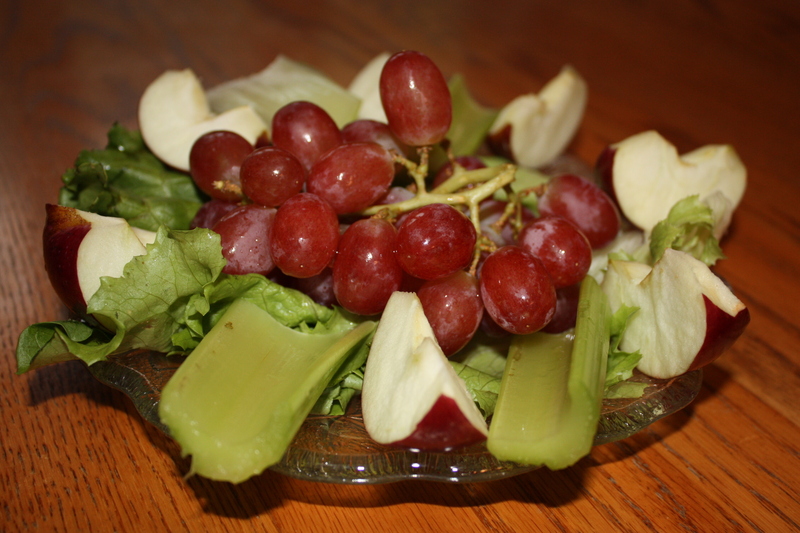 Fruit Plate pg. 149 Okay. Nothing spectacular.